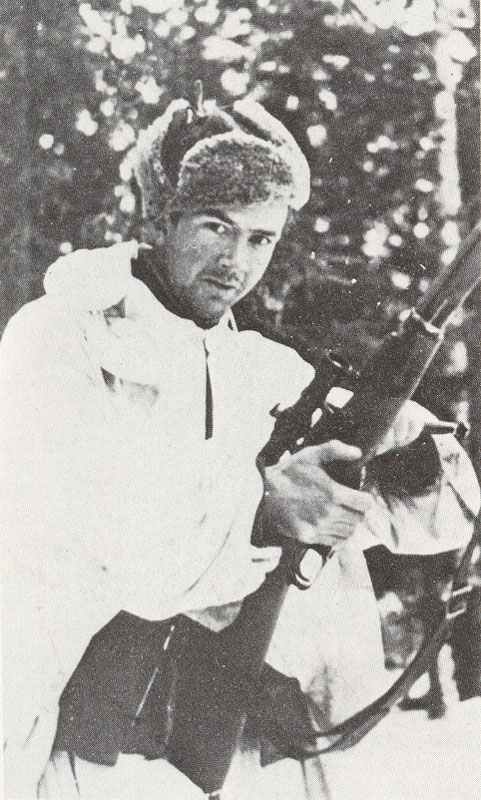 This Finnish sniper in the Karelian forest wears a snow-camouflage suit and is armed with a rifle with telescopic sights. Snow suits such as the one shown here were merely a thin cloth smock with hood and loose over-trousers worn on top of normal winter clothing. Winter War: Fierce fighting northeast of Lake Ladoga. Finns repel all attacks.